On the eastern edge of Yellowstone National Park lies a valley unsurpassed in rugged mountain beauty, sparkling streams, hidden lakes and abundant wildlife (Teddy Roosevelt once called it “The most scenic in America”). Nestled among towering pines and sunlit palisades, Absaroka Mountain Lodge extends a quiet welcome to visitors looking for a “Greater Yellowstone” experience. 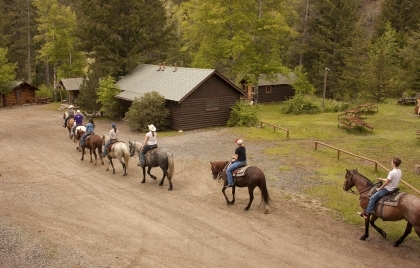 Located 39 miles west of Cody, 12 miles from the east entrance to Yellowstone National Park. Open May-September. No Pets.